The press release from the Woden Community Council points to the problems with planning in Canberra. Never mind what the master plan says – simply allow for development as the development prefers. It is good to see the locals getting in early with sound arguments: Here’s their press release. 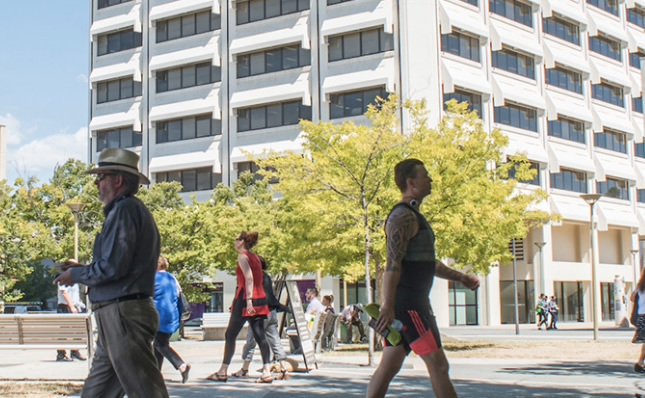 The Woden Valley Community Council (WVCC) supports residential development in the Woden Valley Town Centre and welcomes the release of the Precinct Code to provide certainty to the market. We agree with planning principles that provide a balance of residential development with the associated community facilities and open spaces required to support the population. We have pride in our home so we want to ensure we have the right developments in the right places to facilitate vibrancy and the commercial success of Woden. Developments in the wrong place, however, will have a negative impact on the liveability and vibrancy of the Woden Square for decades to come. The Precinct Code does not implement important parts of the vision of the Master Plan. It focuses on residential development and does not provide a balance with the social aspects of planning eg entertainment areas, community facilities, open spaces and active living (cycle paths). ‘Woden Town Centre is a major community and commercial hub for the Woden Valley and wider Canberra region. It will be a place that attracts people to live, work, socialise and enjoy throughout the day and evenings. The town square is the central focal point for social and community activity that will connect people to a network of safe and active streets and public parks’. The Precinct Code provides for densification with residential towers across the Woden Town Centre. The return of vibrancy to the Town Square, however, is at risk from 28 storey buildings on its perimeter shading this focal point. Building heights – that marker buildings and the additional 4 storeys the Precinct Code allows for are removed from the Code. The Code would then provide for 12,16 and 24 storey buildings. environmental – include areas for deep rooted trees for shade and birds. Residents could suggest that the Code is referred to the Legislative Assembly Committee for Planning and Urban Renewal, prior to the Minister’s approval, to determine whether the Code represents best practice in town planning and implements the vision of in the Master Plan.